According to the book, this cemetery is located just off S.C. Highway 61 about nine miles from Canadys Cross Roads, headed northwest toward U.S. Highway 21, on the right hand (north) side of the highway. 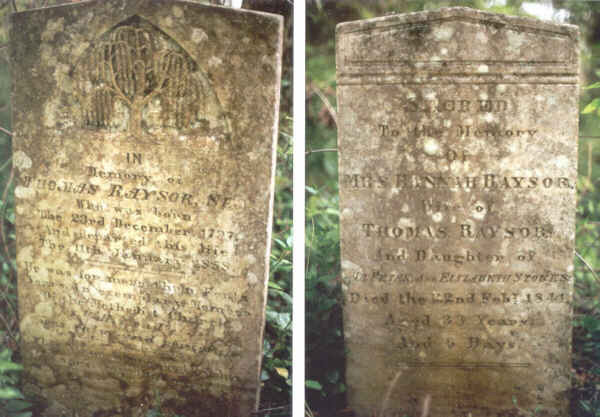 Wife of Thomas Raysor, Jr.
from the book, Cemeteries of Upper Colleton County, S.C. Published 1972, and from the personal visit of David Bryan who photographed the graves of Thomas Raysor and Hannah Stokes Raysor.